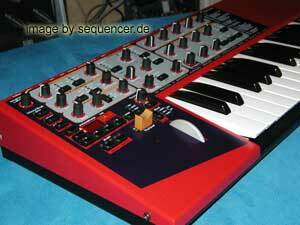 Clavia Synthesizer Menu - nord modular - G2 - NordLead - Tricks..
Clavia Clavia Synth overview / überblick..
G2 / G2x / G2 engine. 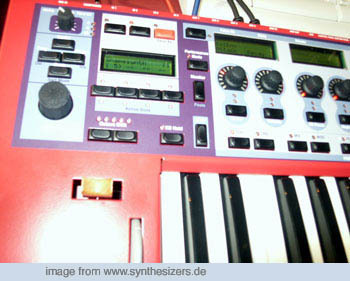 1.40 will add some kind of darwin-patch evolution like I have on my site under ideas..
clavia will obviously do a G2 Software some time, it will use up some power and atm it need quite a lot of power.. but finally we will see the G2 as a software only synth sooner or later.. clavia never waste time just for a demo.. yes: not every module works right now, but it is most likely it will within 2005..
current version since 1.30 is almost bug fixing and re-structure some things "tunings".. but also some added features..
NM user? see the "new" modules..
g2x difference to g2? scroll full down! find latest and in-depth info here! the G2 and internal things..
G2 going software.. (?) clavia released a software demo (no mac version so far) for "evaluation" and demo, some modules "disabled".. get the idea? ;) it's on their site since 23.12.2004 Xmasizzed!!! G2 vergleiche / comparing the modulars with reaktor..
vergleich G2 gegen den alten Nord modular - wie kompatibel sind sie? was ist der unterschied? 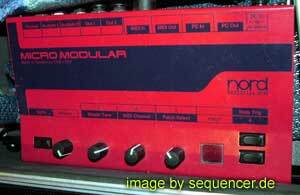 compared: NM, G2 and reaktor 4..
vs. "G1" / "old Nord Modular"
Micromodular the Micromodular is exactly one slot of the nord modular.. and.. 3-4 knobs only.. 4 voices max. 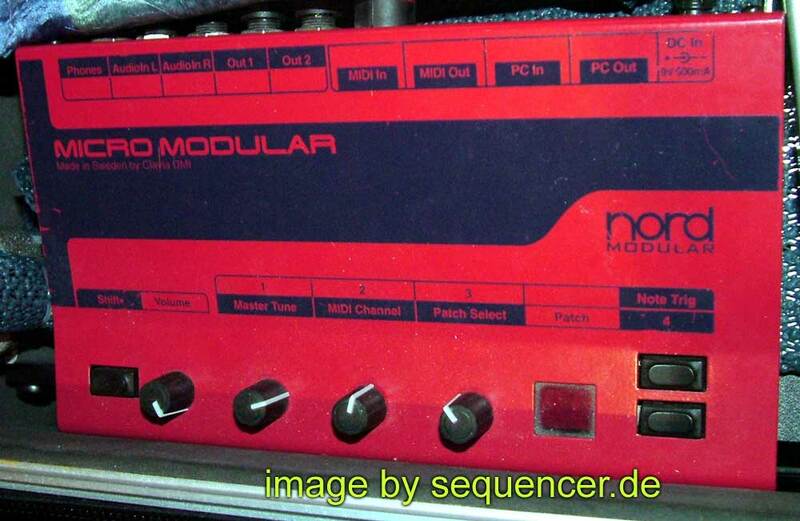 (not expandable)..
enlarge Micromodular - click the image..
the wizoo list seems no longer existent..
2) it's already voice doubled (expanded) the g2 has do be expanded by an optional expansion. 32voices max. yes: it has the same sound characteristics as the nord lead 2 and modular / g2(x). no, it is not the same as g2 or NM, you CAN emulate it, but it is better if you want a VA/standard subtractive. why? 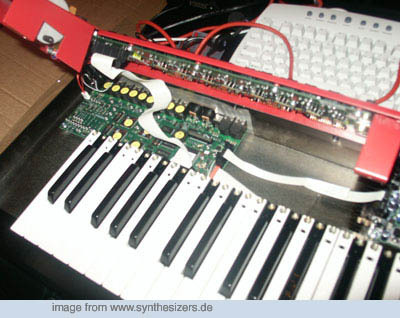 it ias a polysynth user interface for fast live access that has a structure.. it is not modular,.. thats of help with those LED knobs - you always see what the sound is like without playing .. on the modulars (g2 / NM1) you need to help yourself or look at the patch on the screen. 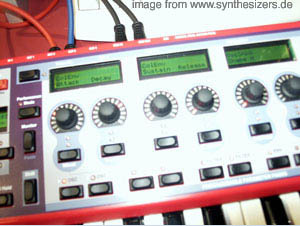 the g2 has LED knobs ,too.. but for it's modular philosophy it is more open and you need to read the display.. but sonically they are really the same , almost.. and: well the g2 and nm are much more flexible, that the "price" for the open architecture.. imo the G2 has the most optimised and fast surface of all modular systems available today! why? 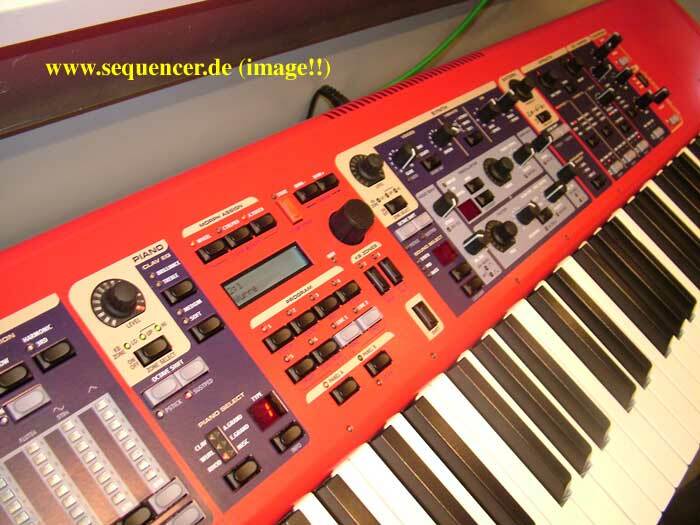 you can assign parameters and midi controllers by less klicks than on others, it has 5 displays and shows it's name and value, so you can use it as a controller box,too.. the older NM has only one display so you need to press the "find" knob very often and so it is the one that needs the computer screen most ;) ..
it has lost the NL2's drum mode but it has a nice FM section, another filter (modes) and 4 morph groups with LED endless encoders.. it also has more polyphony. even in unison mode it keeps its max voices!! 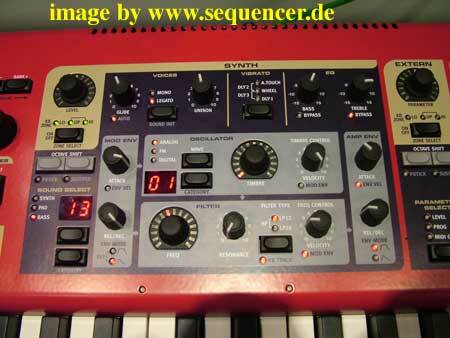 so basically it is a big plus , it's only the name, you can not load old nord lead2 patches or something, but you can recreate your old patches using your brain.. but you will never be able to play the drum sounds because it has no drum mode as the nl2/2x does.. or better: you can not play 8 sounds on one slot.. I do not really know why they kicked off this feature. it is one of the highlights of the nl2 series. btw: the morph stuff: you have 4 morphs on the nl3 and only one on the nl2 - it's an interpolation from one sound to another and moves all parameters proportionally.. you can assign the wheel or other velocity or something to control it.. on the nl3 you have wheel, AT, velo or pedal as default group control. 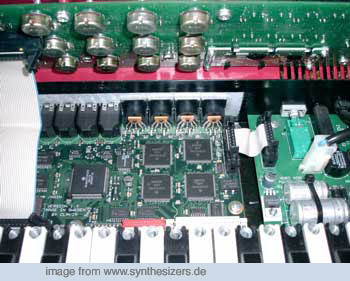 the 2x is the same as the 2 with card built in, so it has 24bit DA convertors and about 300 patches / 30 drumkits compared to 10 drumkits and 40 patches with no card on the older NL2 - thats all! 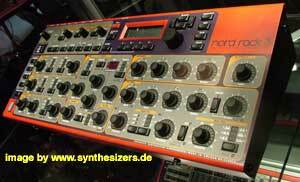 -LFO1/2 more routings loike filter mod by LFO2, echo mode added and 2 waveforms added (smoothed random, very cool!)! 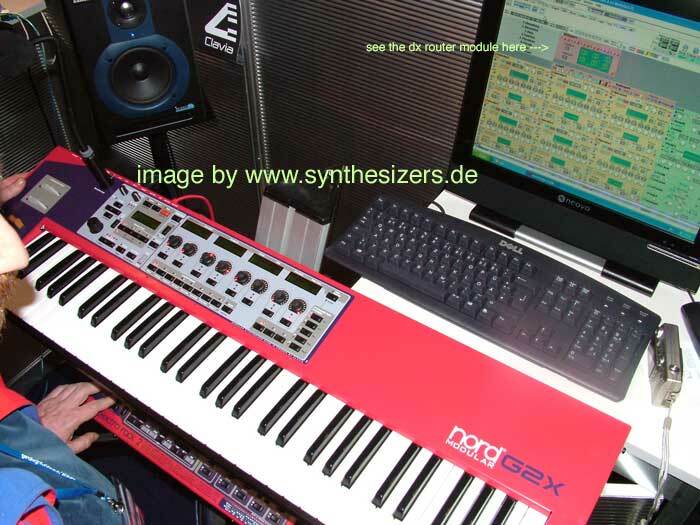 -keytracking now more than "on/off"
but in addition to clavias electro series the nord stage has FX and a simple Synthesizer which provides FM and digital spectra and some VA waveforms with simple envelope (ADSR) and filter (LPF,HPF), not a big deal and not a nl2 or nl3.. but perfect for electro lovers? 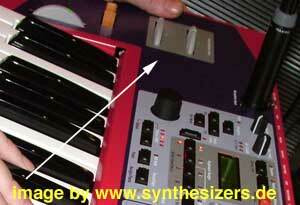 .. lots of people like to have ONE keyboard for all.. here it is..
click on the Stage pics to enlarge..